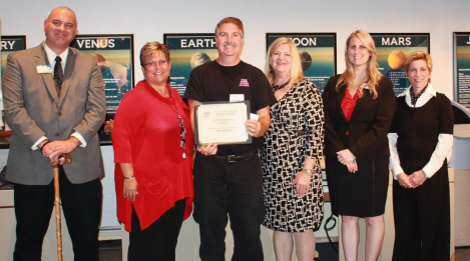 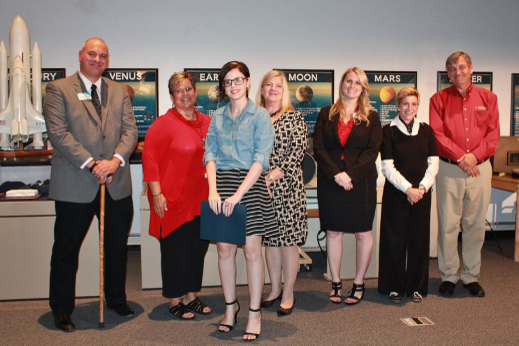 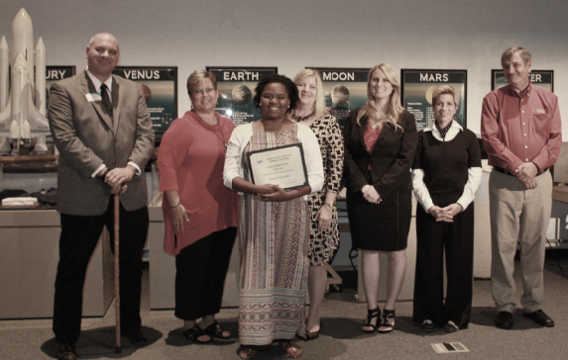 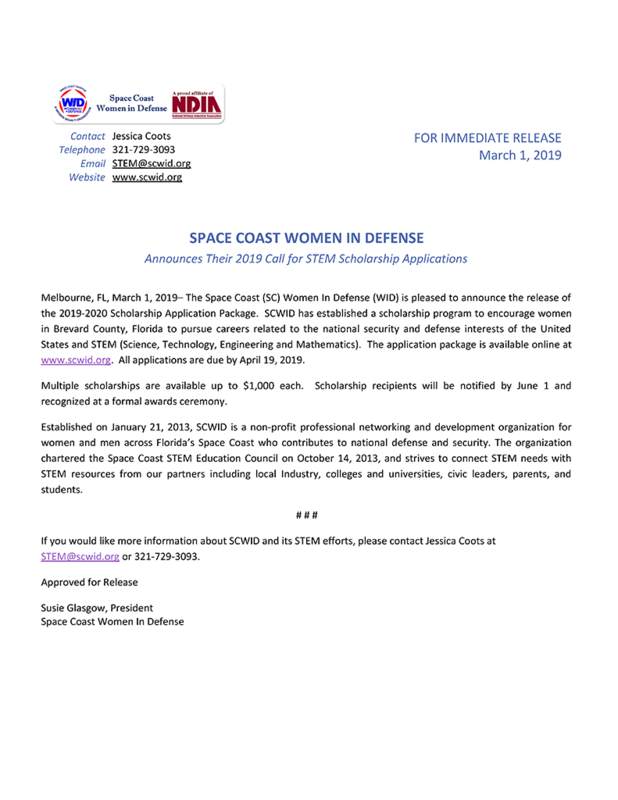 In addition to the Horizon Scholarship (National-Level Scholarship), the Space Coast Women In Defense offers STEM scholarships to women of merit to help them pursue their educational goals, whether just beginning a post secondary education or working on a doctorate degree! 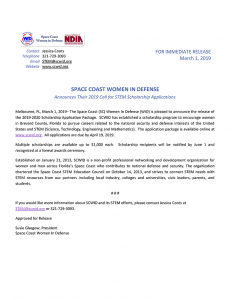 Melbourne, FL, March 1, 2019– The Space Coast (SC) Women In Defense (WID) is pleased to announce the release of the 2019-2020 Scholarship Application Package. 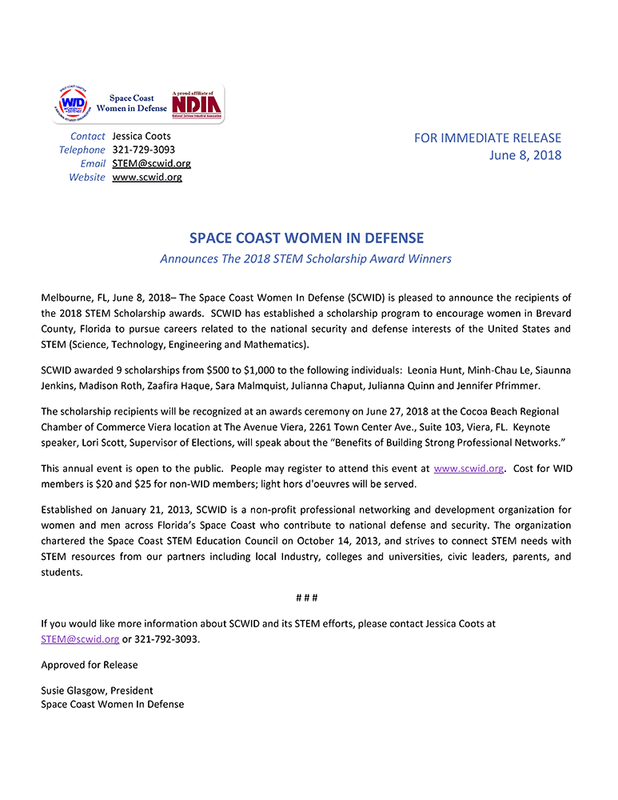 SCWID has established a scholarship program to encourage women in Brevard County, Florida to pursue careers related to the national security and defense interests of the United States and STEM (Science, Technology, Engineering and Mathematics). 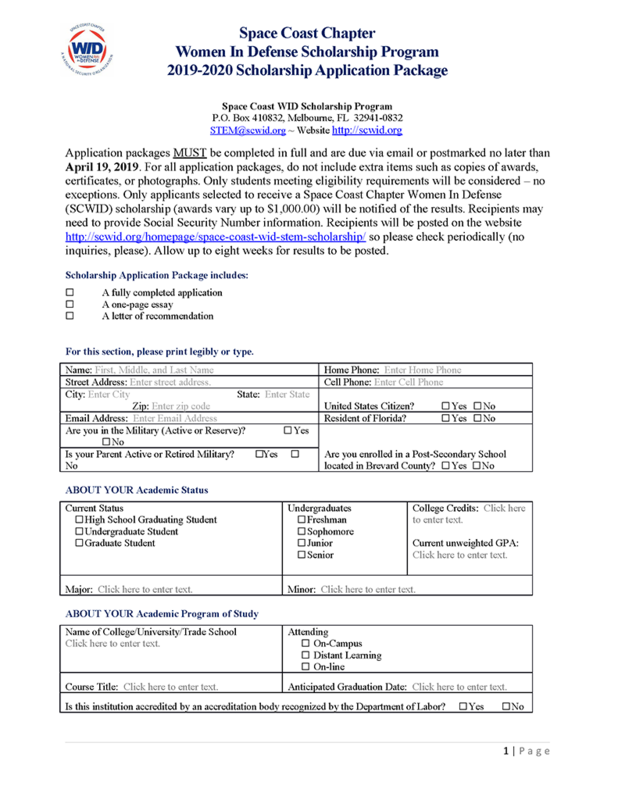 The application package is available online at www.scwid.org. 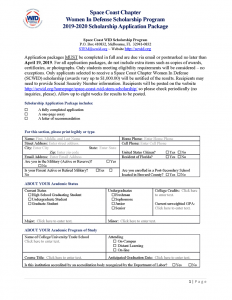 All applications are due by April 19, 2019. 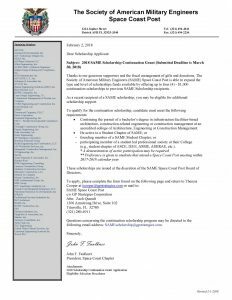 Multiple scholarships are available up to $1,000 each. 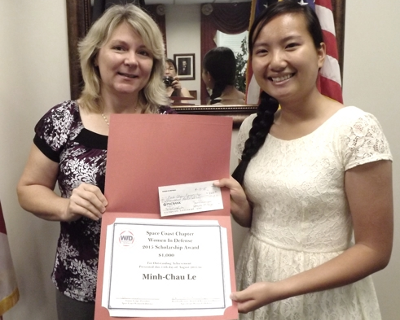 Scholarship recipients will be notified by June 1 and recognized at a formal awards ceremony. 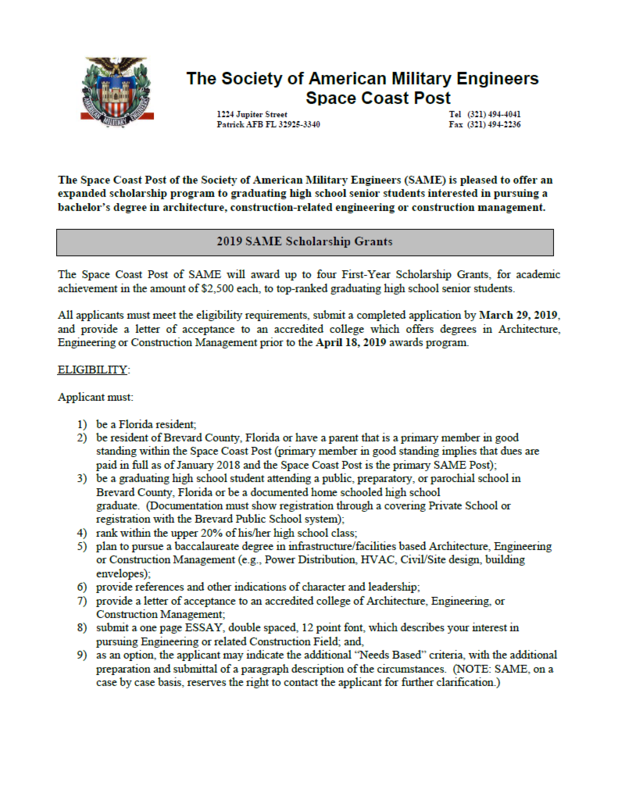 The Space Coast Post of the Society of American Military Engineers (SAME) is pleased to offer an expanded scholarship program to graduating high school senior students interested in pursuing a bachelor’s degree in architecture, construction-related engineering or construction management. 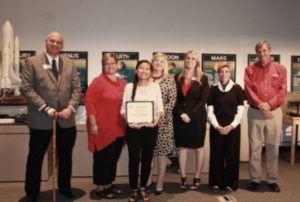 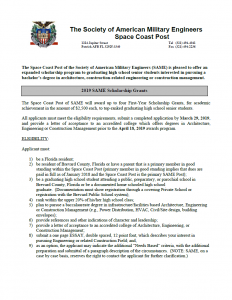 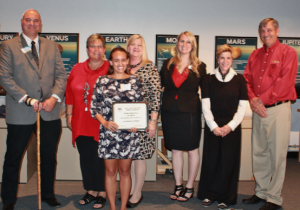 The Space Coast Post of SAME will award up to four First-Year Scholarship Grants, for academic achievement in the amount of $2,500 each, to top-ranked graduating high school senior students. 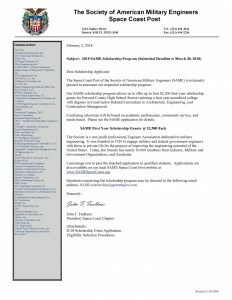 All applicants must meet the eligibility requirements, submit a completed application by March 29, 2019, and provide a letter of acceptance to an accredited college which offers degrees in Architecture, Engineering or Construction Management prior to the April 18, 2019 awards program. 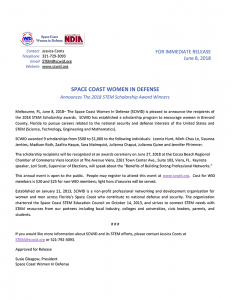 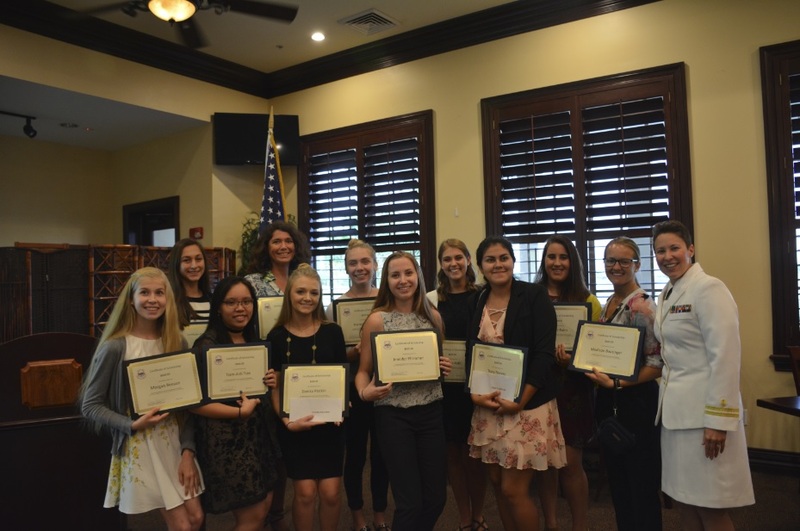 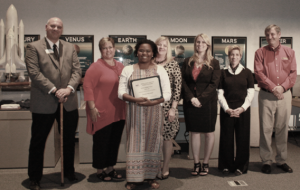 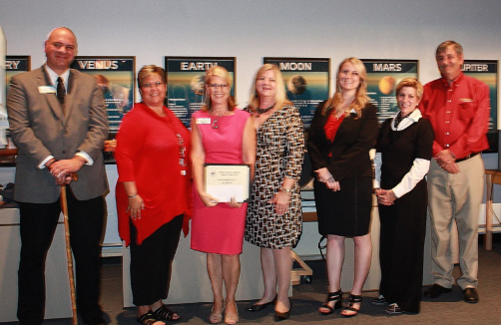 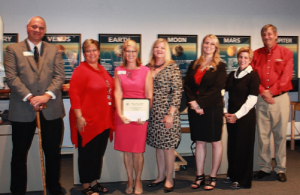 The Space Coast Chapter of Women In Defense (SCWID) has established the SCWID Scholarship Program to encourage women in Florida to pursue careers related to the national security and defense interests of the United States and STEM (Science, Technology, Engineering, and Mathematics). 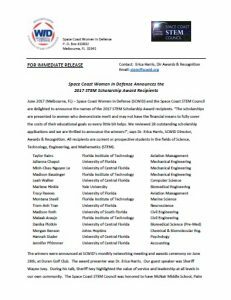 SCWID intends to award multiple $1,000 scholarships, subject to availability of scholarship funds, approved by the SCWID Board of Directors. 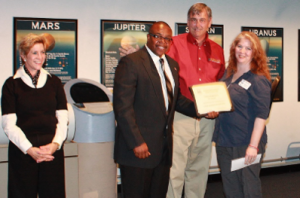 Ms. Bridget Carr Lee was presented a $1,000 dollar scholarship on June 19, 2014 at the Center for Aeronautics and Innovation. 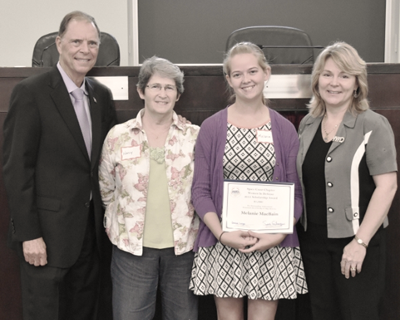 We are so proud of Bridget’s accomplishments and wish her great success at Georgia Tech. We accept donation to support our community outreach. You can contact our Chapter President if you are interested in supporting our many worthwhile events.